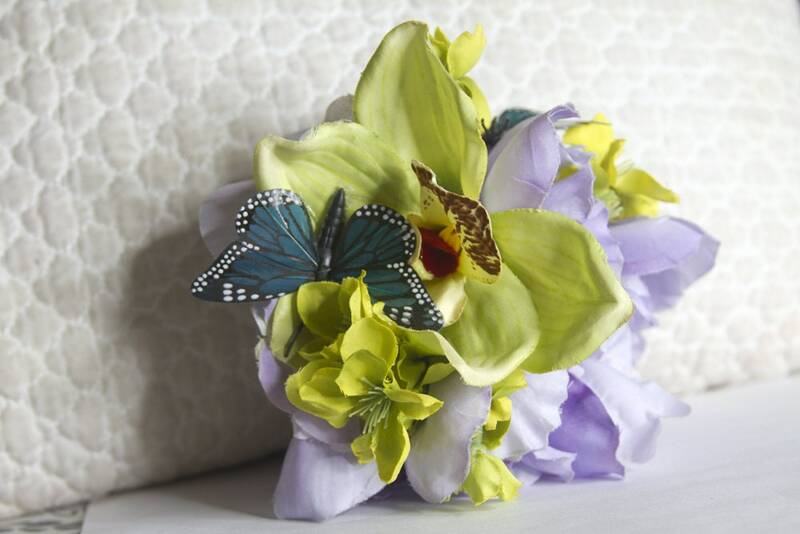 Embrace your natural beauty with our exotic Purple and Green Orchid Flower Clip. This piece features 1 beautiful large Orchid Flower and a mix of lime green cherry blossoms that are attached to a 1.75 inch metal alligator clip for comfortable and secure wear. This piece is approximately 6 inches in diameter.